Double Weave Judo Gi (Blue) & other great retail gear is available. Buy Now! Highly functional and durable blue uniform. The double weave construction provides top-level durability that can be relied upon during intense judo randori. The tight grain kimono top stitching offers resistance against grabs and pulls. The kimono skirt utilizes a traditional diamond pattern weave. I own 4 fuji gis. The white & navy single weave & the white & blue 2x weave judo gis. I Have never & would never review a single gi until now-Fuji is the highest quality gi for the best price on the market PERIOD. I would advise to order a size down in the judo gi & follow the single weave "victory" gi size exactly. I'm 6' 200#. I have long arms & legs size 4 in Judo gi fits perfect. size A3 in single weave also fits me perfectly. Thanks to MAS for fast & affordable service. I bascially will never shop any where else. I have tried other companies & the speed of service & price do not compare with MAS. Hey guys what's up? Pabs here, I am 5'11 and fluctuate between 205 and 220, I like my kimonos on the "fitted" side and would like to know what size would you recommend on this Fuji double weave and how much does it shrink? Hi Pabs. I think the best bet for you would be to go with a 6 and then shrink it down strategically to gain that fitted feel. Hi. I am a female, 5'5 and weigh about 235lbs. Most of my weight is carried in my thighs, about 50in circumference. Yet my waist is 35 and bust is 38. I use to wear a gi that was a 3, yet the arms are too short now and the pant legs definitely don't fit anymore. What would you suggest I do so I can get back into judo? Hi Judogirl. I would recommend getting a size 4 or 5 with the intention of hemming the pant legs and sleeves. You can even do some strategic shrinking in the wash if your larger size is a bit too large in the jacket and/or pants. I have a heavy duty Century blue uniform in a size 4 (keep in mind that I had to shorten the length of the pants). I am a 5'5 and 155 lbs. Would this be comparable to size 4 for the Fuji judo uniform? What would the size be for the Fuji jiu jitsu? Hi Voviminh. I don't recall offhand how this compares to Century in a side-by-side, but I can say that I think the size 3 would be best for you in Fuji. Hi Jimmy. I'm thinking that size 4 would be the best option for you. 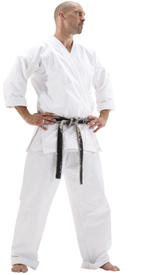 I am 5'11" and weight 250, I wear a size 50/52 jacket and a size 42 / 30" waist pant - I am a brown belt Judo. I have been in a break for 5 years busy with my doctorate study. I just returned back to practice. What size should I have, of course double weave. Hi Zahrani. I think the size 6 would be your best bet. If you order it and the size isn't quite right, you can exchange it at no charge. Just make sure you do not wash it first. If I am 5'11 and around 241 Pounds would you recommend a size 6 or 6.5? I want to be comfortable but I do not want it to fit too big. Also If I get the item and need a different size can I exchange it? Hi Tipsy. I think you would be fine with the 6. You can definitely exchange the item for a different size if it doesn't work out, just make sure to do so before you wash the item. Hi, I am looking to buy this gi but I am having difficulty deciding on the size. I am a 5'7" 115 lb female. Would you recommend a size 2.5 (to make up for my lower weight) or 3/3.5 (to make up for my height and make sure the pants are not too short)? Thank you for addressing my concern! Hi Alexbee. I would probably recommend the size 3. I think it would be the happy medium for height and weight. Also, I have another question. Is it possible for me to order items off your site and have them delivered in Canada? Canada delivery should not be a problem. Add the items to your cart and go to checkout. Before paying you'll have a chance to enter some shipping addresses and get a predicted cost/arrival time. Hi, I'm joining a local Judo school and my budget is pretty limited. I'm 5'6 170 lbs (athletic) am I a size 5? I weight about 123 and 5'2" tall, I'm very fitness shape. Would it be better to get size 2 or 2.5 for judo? I afraid 2.5 will be too big for me. Thanks for your help. Hi Judocrgirl. I think you'd be happiest with the size 2. If it is form fitting when it arrives remember to use cold wash and hang dry so as not to shrink it out of comfort range. I'm 5'11" and 190lbs. I just got my 4.5 in and it seems extremely large. Sleeves come to my fingers and the back folds over when i put a belt on. Is this going to shrink down enough to fit or should I exchange for a smaller size? Feel free to exchange for a 4 Michael. It's a no-hassle process: http://www.martialartssupplies.com/csupport-exchange.html. Hi, I'm 5'6" and about 135 lbs. From the size chart it says a 4 but then I was reading some of the questions and for someone 5'8" and 133 you recommended a 3. Any help would be appreciated! Thanks. Josiah - I would say 3 for you as well. Hi. I bought a size 3 Mizuno single weave gi from you, and it fits just right except for the slightly short sleeves. I'm 145ish lbs and just under 5'8". Fuji's sizing chart puts me in a 3.5. What do you think? I think I agree Andy - I would go with the 3.5. Hey. I'm around 155lbs right now (working towards 160lbs) and am just short of 5'9. I'm deciding between the 3.5 and the 4. Any suggestions? Thanks! I would recommend going with 3.5. I'm 5.8" and 185lbs. Do I have to go for a size 5? I don't think so Dario. I bet that the 4 would suit you just fine. Whats the difference between the standard size, and the .5 sizes? The .5's were developed for individuals who were in between sizes and weren't comfortable in either of the regular sizes. Consult the sizing chart to find out which size is best for you. Thankyou, so they're just a tad bit bigger. Hi there. I see a lot of other people asking for sizing advice. This will be my first good gi, so I want to get it right. Here goes. I'm 6'3", 210 lbs. Should I go with the 5.5? I'm slim so it seems like I would just be swimming in the 6. I always wash my gi with cold water and air dry, so I don't know how much shrinkage to expect. Hi mwiseman. 5.5 would be nice in terms of weight but might be a few inches short on the sleeves and pant legs. 6 would offer that extra length but provide some bagginess right along with it. As for shrinkage - if you cold wash and hang dry you can expect little shrinking, less than half a size. I'm 6'1 and 235-245, What size do you suggest? Hi Jesse. I think going with the 6 would be a good choice for you. Yeah, i got 6.5, and it fits about an extra person in the gi. =P The arm length is right, but the pants are about a foot to long! I havn't washed it though. Instead I'm going to try and replace it with the 6. We shall see. It shipped fast though. I'm having trouble picking the size for this gi. The size chart on the fuji site places me at a size 5. The chart here puts me at a 6. I am 5'11", 215. Which size do you think? I would go with the 5. I think you'll be happier with the form and fit. Hi, I'm 5'10 and 175lbs should i get a 4 or a 5 size gi? I'd recommend going with the 4. I am about 5' 8" and 150 pounds, i believe this is about a size 3 but I am a university student and cant really hang dry anything. If i consistently dry the gi completely with a dryer what size would you recommend? Hi Parse. It might be smart to bump up to a 3.5 considering the expected shrinkage. This gi is a good mid-heavy weight and offers great value at the price. The size chart was pretty accurate, but if your are not sure, you probably want to size down, not up. Shrunk 1/2-1 inch with first wash, but minimimal shrinkage after that so hopefully that will not be an issue. FYI Ordered both the blue and white gi in the same size and the blue was a little smaller. Not sure if that is a result of the dyeing process or just quality control??? Both fit ok, but there was definitely a difference. Oh and shipping? SUPER FAST AND FREE! 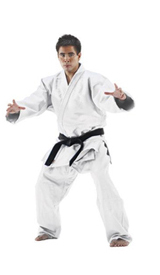 We are very pleased with the purchase from Karate Depot, GI quality is superior and the shipping was really fast, but it was our mistake in selecting the size, Karate depot made ? ?arrangements that we might receive the new uniform as soon as possible to your destiny. Great service and the staff makes your continue sponsoring it. I weight about 150 and 5'8" tall. Would it be better to get size 3 or 3.5 for judo? I would probably recommend the size 3. However if it doesn't work out to your liking just let us know and we can arrange an exchange. I'd probably say go with the size 7 due to the height. If the weight doesn't accommodate, let us know and we can arrange a size exchange (just don't wash the gi first). I'm 6'2-6'3, about 205-210 pounds, lankier build... Size 6 or 5 on this? A 5 would be a good, snug fit but you'd have to be very careful about shrinking it in the wash. With a 6 you might be able to shrink it down a bit on purpose and then have a good fit. im wondering if this comes with a belt too and im 5' 8" at 133lbs would a size 3 work? Hi Zepic. This uniform does not come with a belt. As for size, I think you could fit nicely in a size 3 as long you utilize cold wash and hang dry. This gi is a great buy - especially for us megaclyde / hoss Judoka / BJJ practioners. I have used this gi (blue size 9) for the past week and a half and it feels great. I am comparing this gi to my Padilla & Sons gi size a6, as well as an Isami HJ-133 size A6 I was given.... size wise this is comarable to the Isami - very close. The P&S is smaller, probably more directly comparable to a size 8 Fuji. I really like how tight the gi is on my shoulders, I have a 56-58 size chest and a 46-48" waist - the top is perfect for me after three washes. The pants are a little tight now - my P&S and Isami are better fitting.... and I wouldnt compare the quality of the pants to the other two - no comparo - so I would guess the pants are where some cost cutting occurred to get this to such a reasonable price .... which I have to say is a good price. If I was smaller, I would stick with P&S, but for a big guy, this or the Isami are the way to go (and you can buy two Fuli's for the price of one Isami!). MAS performed great on both of my orders - excellent shipping time, decent order tracking, painless process. WTG! Does this Gi come with the pants as well? Yes, you'll get the top and bottom. I am 6'3" and weight 350, I wear a size 56 jacket and a size 46 / 48" waist pant - I am a white belt practicing BJJ and Judo. Should I get the size 8 or the size 9 Fuji double weave? Is there another gi/kimono that you recommend? I would also like a high quality white belt - thank you in advance for your help. Hi Erik. Just to make sure you don't run into wash-shrinking problems I would recommend the size 9. Fuji uniforms come with an excellent reputation for quality affordability, so I think this is a good choice. As for the white belt, I would point you in this direction: http://www.martialartssupplies.com/fuji-bjj-belts.html. I'm in the same boat. I'm 6'7" and around 350lbs and when the budget allows, I will be buying a the size 9 double weave. I am new to Judo and I am 5'11 346 pounds what size should I get? I think you would want to go with the size 8. Be aware that you'll probably have to hem the pant legs and sleeves a little. i'm 4'11'' what size should buy???? Hi cman. Without knowing your weight I would guess a size 1 or 2. If you'd like to provide your weight I could make a more educated guess. what is the material density of this gi? is it 550 or heavy? I haven't been able to secure a solid answer on this one Oleg. I'm looking into it though. Hey, so i dont know much about gi's and the shrinkage and all that so I'm 5'10'' and 150 pounds. what size is recommended? Despite what the height says on the sizing chart I think you'd be most comfortable in an A3. 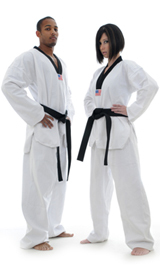 I would like to purchase a Gi, but kind of have trouble with Gi sizing in the past. From my perspective the size 5 is probably the safest bet for you. However, you could attempt the 4.5 if you want something more conforming to the body. i am 5'9, 5'10, 185lbs.....will a 4.5 size gi fit me? I would like to order but need to know my size. I think a size 5 would be comfortable, and a 4.5 would form fitting but still fine. If you order it and it's a bit too tight just let us know, we'll arrange an exchange. I've been using this gi for 2 weeks now, its quality is amazing, it can totally withstand hard randori training. 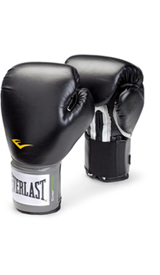 It's so comfortable after the second use (first use is always stiff), now it's simply great. If you follow the washing instructions then you don't have to worry about shrinking. I will definitely get me a white one so I can have both official colors. Now, regarding the size chart, I'm 5'6" and first bought a white size 4, that was huge and had to return it (which by the way was an extremely easy process, fast too) so I got me a size 3 which fits perfect. Just change the size chart and everything will be great. What are the waist sizes for size 8 and 9? Size 8 floats around 40"-45", and size 9 around 43"-50". what is the chest size in inches of a size 9 fuji judo gi ? Hey Patrick. I don't have that number available, so I'll have to reach out to Fuji. I'll get back to you asap.